This lovely crochet ribbed beanie hat pattern can easily be finished in under 1.5 hours. 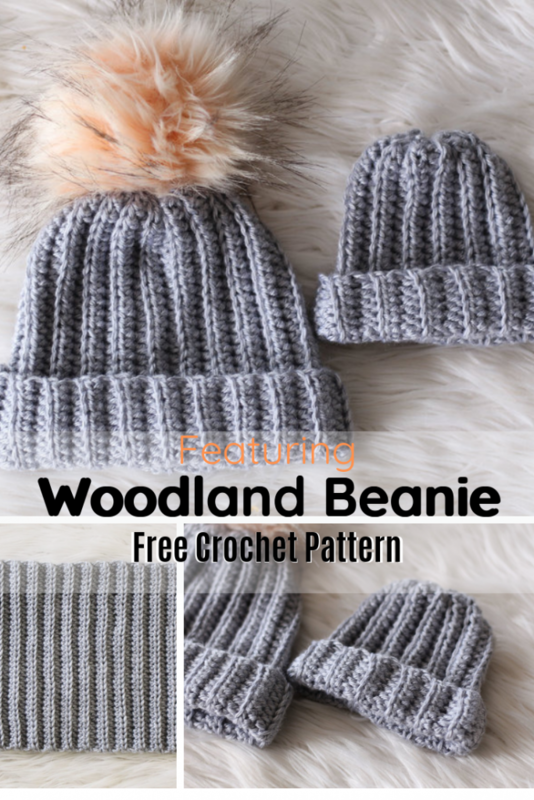 Woodland Beanie – Free Crochet Pattern designed by HookedOnTilly is quick and easy to crochet and it’s the perfect beginners project. This beanie pattern is very adjustable and comes in 9 sizes from newborn to adult, so you can make one for pretty much anyone you want. Get the pattern: Easy And Quick Crochet Ribbed Beanie Hat Pattern. Thanks to Bailey for the article inspiration and featured image.